China is one of the world's oldest uninterrupted civilizations, and the essential culture and identity of the Chinese people--the Chinese Way--was formed more than 2,000 years ago. This volume chronicles the development of Chinese civilization from Neolithic times, when agriculture revolutionized society, to the early first century A.D., when the Han dynasty's triumph over a usurper firmly established a social and governmental model that would survive into the 20th century. 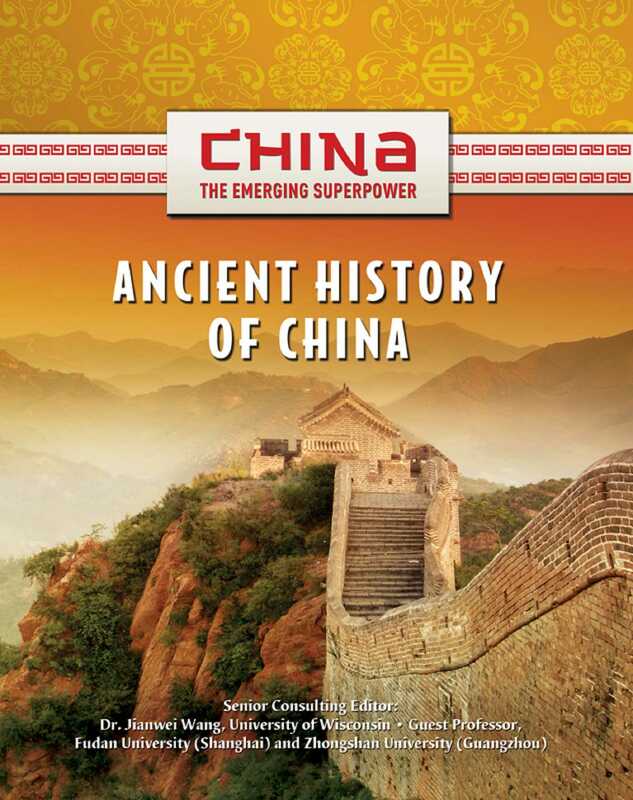 Ancient History of China presents China's important formative legends; relates the story of China's early Bronze and Iron Age cultures; chronicles the chaotic periods of warfare that preceded the unification of the country in the third century B.C. ; and introduces such influential figures as the philosopher Confucius and the emperor Shi Huang Di, who built the Great Wall and commissioned the sculpting of a huge terra-cotta army to guard his grave. Students will be fascinated by this fast-moving and informative account.